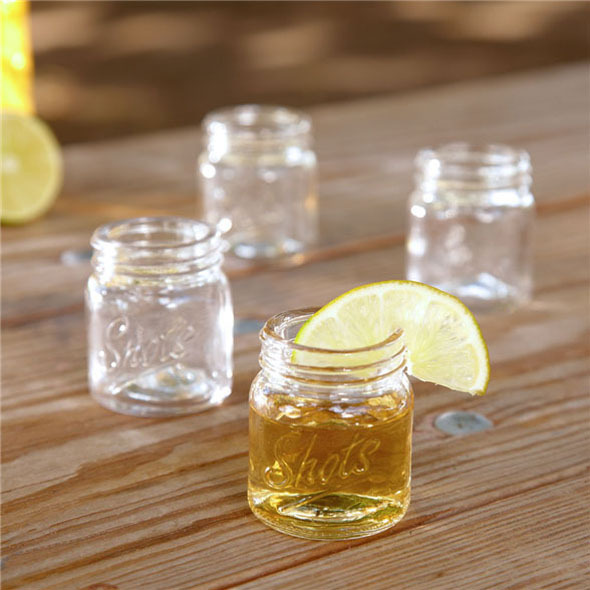 Everything tastes better in a mason jar... especially a shot! Just fill 'er up with your favourite spirit and shoot it down the hatch! 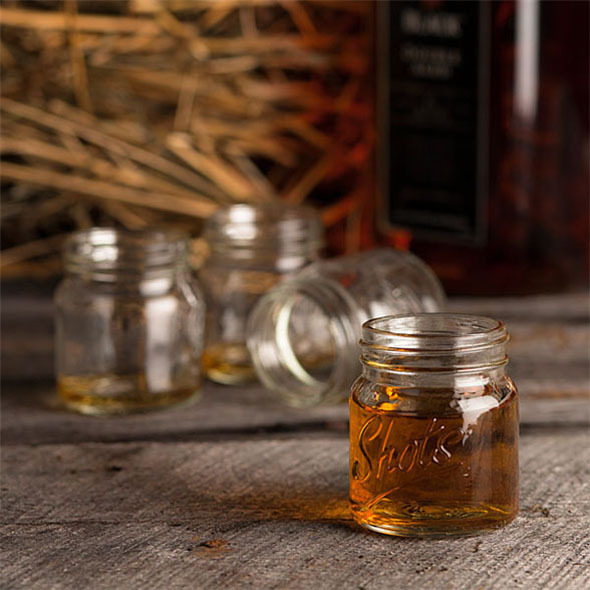 Impress your redneck friends and sound out a good ole “yee-haw!” as you throw back a shot with our set of redneck mason jar shot glasses. 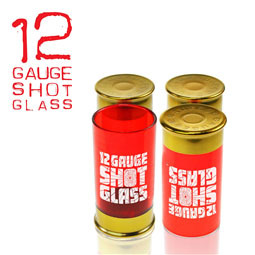 Whether yer at a shotgun wedding, a backyard pig roast, or a tractor pull, enjoy a drink with a funny shot glass that's as refined as yer like to git! Take a shot country style! Just fill ‘er up with your favourite spirit and shoot it down the hatch! 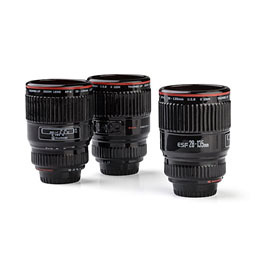 We reckon you’ll be the talk of the party! 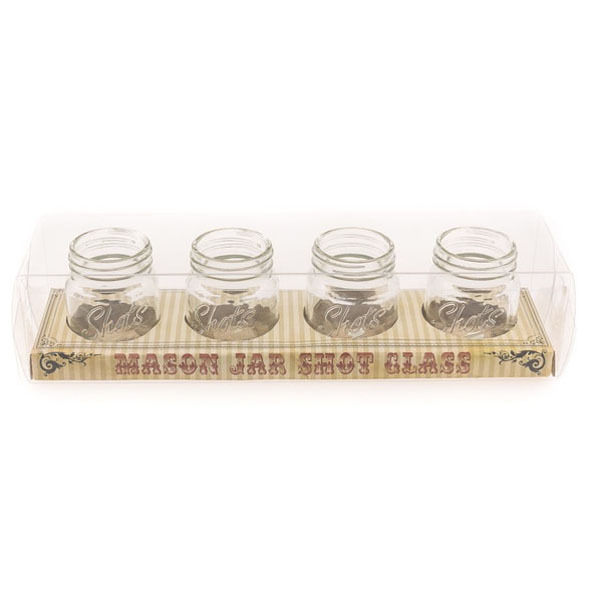 • Sweet set of mini mason jar shot glasses. • A fun addition to any bar or kitchen. 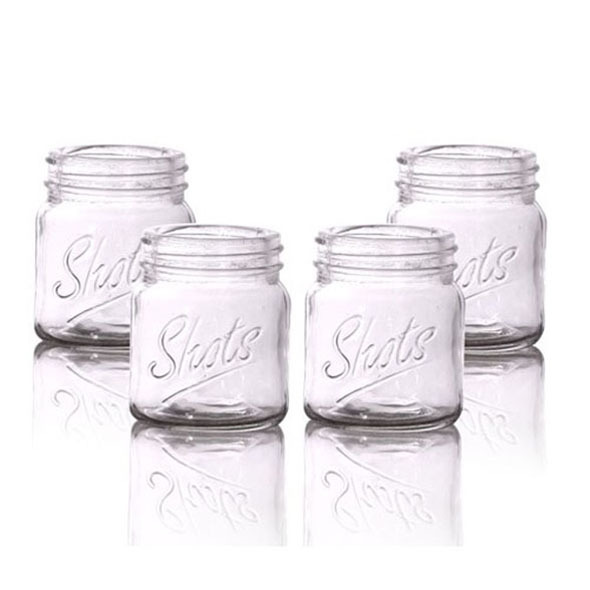 • 4 x 'Mason Jar' shot glass.